Soft, buttery, fluffy, swirly rolls as easy as dumping everything together in one bowl. A special ingredient keeps them soft for days. 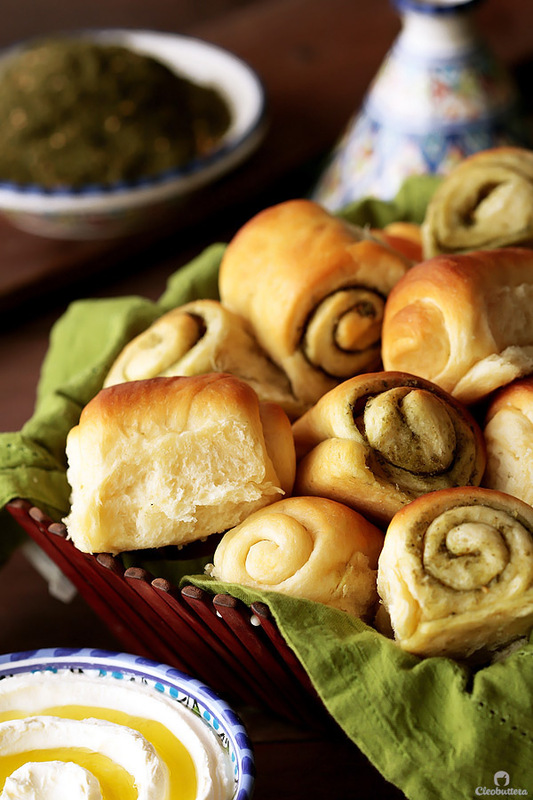 Whether plain or stuffed with Zaatar, these rolls are guaranteed to fly off your bread basket in a flash! Plus…recipe VIDEO included! The EASIEST featherlight, cotton-soft rolls I have ever met. So good that I’ve made them 5 times this past week, and I’m not even ashamed. The first time I made them, they disappeared in a little less that 10 minutes, and so I was forced begged to make another batch asap. Given it was my cheat day, I couldn’t help but oblige. Oh and have I mentioned how fluffy they are?! I think I did over 9 times already, but here’s another reminder. Their only flaw, is that they disappear too fast. That’s where doubling the recipe comes in. 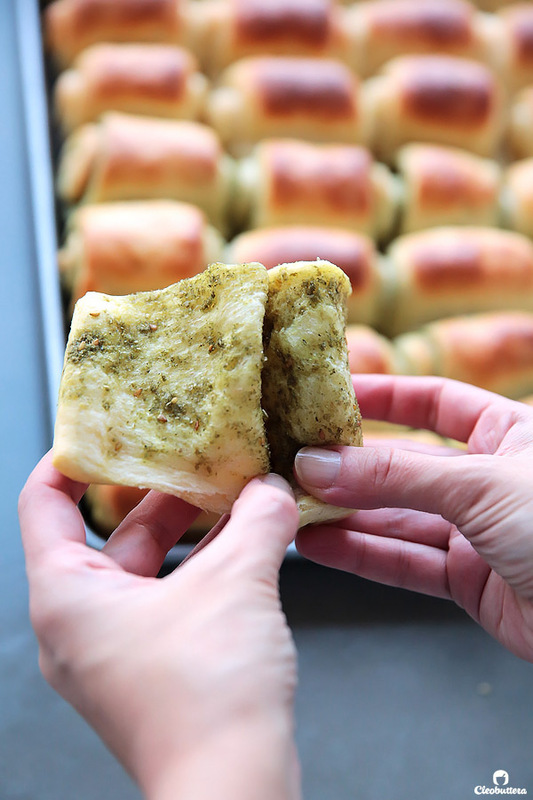 The first time I made them, I decided to stuff half of my rolls with Za’atar, for a little Middle Eastern “twist.” You know…because I’m Egyptian and we love us some za’atar. And boy was it a very wise decision! 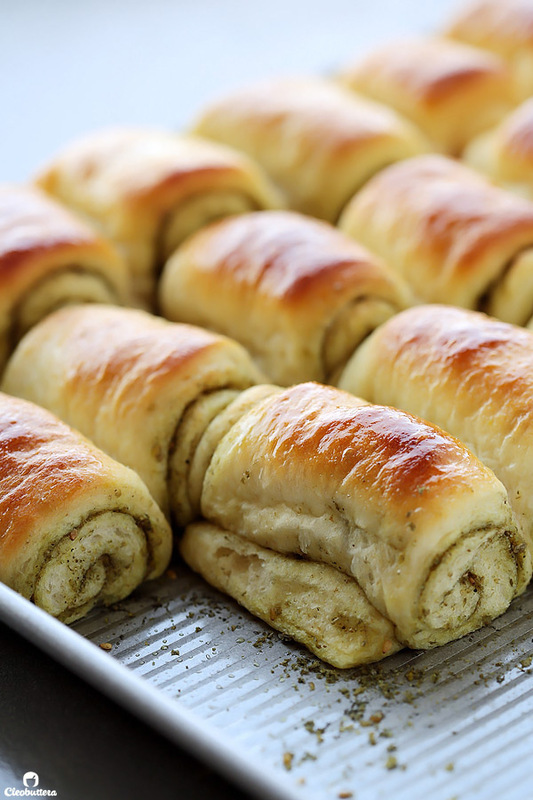 The only problem is that we couldn’t decide which we love more; the plain butter ones or the za’atar ones. Each delicious in its own special way. So as any indecisive foodie who cannot pick a favorite does, I’ve been making them both every single time. Same pan, side by side, a 2-in-1 ordeal. I’m guilty of doing the same thing with these crescent rolls too. Let’s rewind a little bit in case you feel lost. 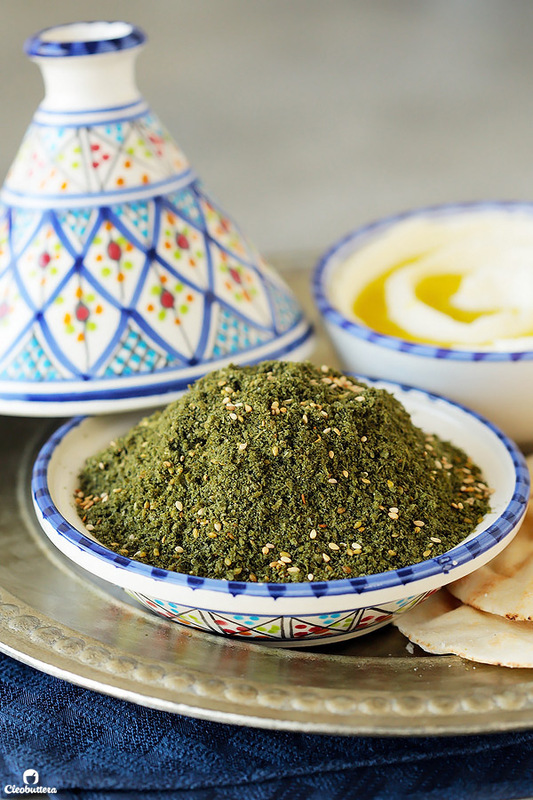 Za’atar is a Middle Eastern spice mixture common to most Arab homes, but I love how it’s becoming internationally recognized. It’s no wonder…the stuff is delicious. It’s a unique blend of dried thyme, oregano, marjoram, sumac, toasted sesame seeds and salt. The flavor is hard to describe, but its a bit citrusy, somewhat aromatic with woodsy, earthy notes and an exotic savory flavor. It’s sold premade at most Middle Eastern/Mediterranean supermarkets, but it can be easily made at home. Here’s a promising recipe that I’ve seen online. 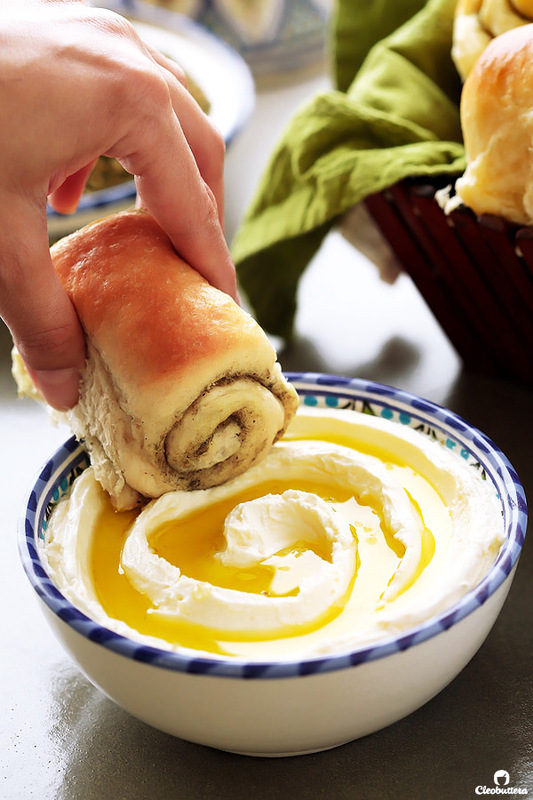 We love to eat it with bread and Labneh, a soft, cream cheese made from strained yogurt, and other dips like hummus. A little sprinkling over flat bread, meats, veggies, rice, potatoes, anything really, just takes them to a whole new level. And soft, fluffy rolls, are no exception. I have another favorite recipe for Ultra Fluffy Dinner Rolls, that is actually one of the most popular recipes on the blog. Just take a peak at the feedback in the comments section to know why they’re so loved by many. 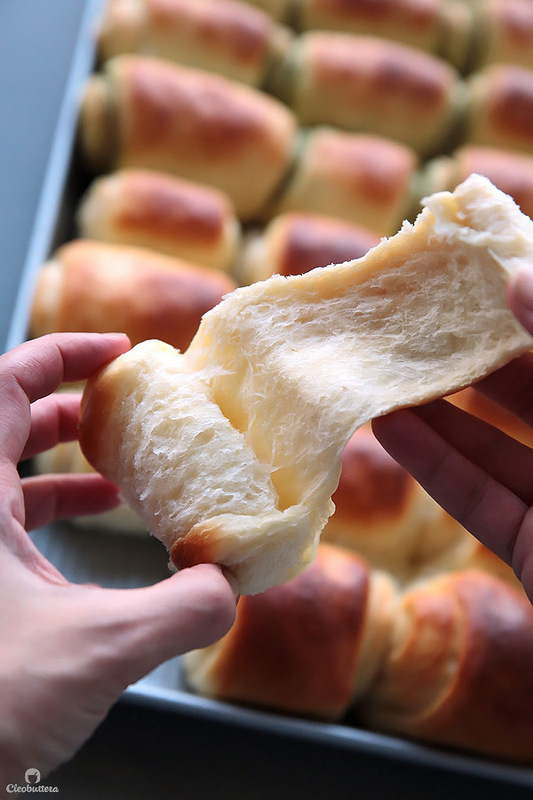 It’s an absolutely great recipe that uses a Japanese technique, known as Tanzhong, which hydrates the rolls to produce soft and fluffy rolls that keeps moist for days. It’s been my go-to rolls’ recipe for a couple of years now, but the process is multi-step, a bit finicky to make and requires A TON of kneading; 20 minutes on the stand mixer and God knows how long by hand…Never took that route; don’t have the biceps. This recipe manages to capture the same feathery lightness of the Tanzhong method without having to go through the process and long kneading. It’s an easy one-bowl, dump-and-knead kind of recipe and I’m loving it. Thanks to an unusual ingredient, that keeps the dough so plush and pillowy. But I couldn’t keep this recipe from ya’ll, because it’s that amazing! So find the dang potato flour, make the rolls and I promise you won’t hate me as much. Oh well, maybe you will, because these rolls might just give you some rolls of your own, if you know what I mean. Thigh rolls, back rolls, stomach rolls…you name it! Dangerous, dangerous recipe I’m telling you…so proceed with caution. Update: I’ve been getting a ton of questions about substituting potato flour. I knew it was coming 😄 While I haven’t tried any substitute myself, this article explains everything you need to know about the subject. Highly recommended read! You know how potato rolls are known for their exceptional squishy softness? It’s because the starches in potatoes have some scientific stuff in them (which I’m not going to annoy you with) that dilute the gluten-forming proteins. This makes potato-based baked goods like these burger buns, softer, moister, more tender and increases their shelf life. Same goes with potato flour. This unusual ingredient is made from dehydrated potatoes, so its basically a potato! A veggie, if it will make you feel better 😉 You could substitute instant mashed potato flakes by the way, but not sure if actual mashed potatoes would work here. The thing about potato flour is that its super absorbent, which allows us to cut back on the flour and increase the milk, which in return, produces a moister roll. Makes sense right? And you’ll only need a tiny bit per batch, so a bag should last you a long time. Unless you’re like me and make rolls 5 times in one week. 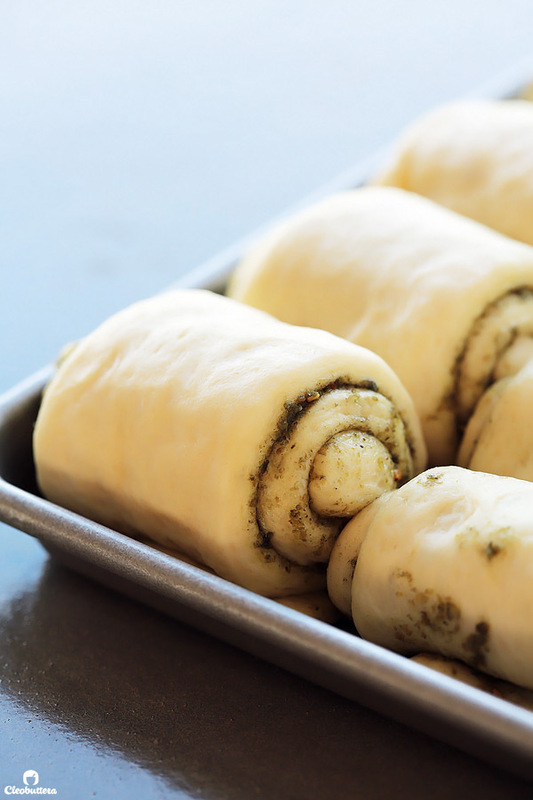 To make these easy rolls, you’ll basically just throw everything together and mix. Dry ingredients, wet ingredients, everything goes in there. Just make sure you’re using INSTANT yeast though. To speed up the rising process, I like to just warm the milk a bit and stir the egg into it, just to take the refrigerator chill out of them. And if you want consistent, perfect results every time, I highly recommend weighing your ingredients using a kitchen scale. It’s always a good idea. At first, the dough will seem clay-like, and appear rough and dry, but it will eventually soften up, so don’t be tempted to add extra liquid. See? 7 minutes of kneading later, it will transform into a silky smooth dough with a slight stickiness to it. You’ll then leave the dough to rise in a nice, warm area, almost until doubled in size and resembles a pillow. Then you’ll turn it out on your work surface, roll out into a 16 inch (42 cm) square, then slice it in half horizontally. Then roll each strip into a snug scroll. 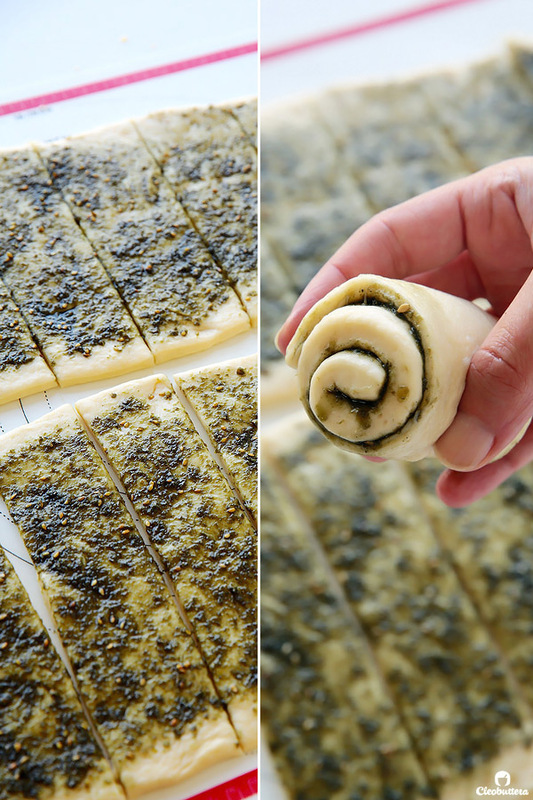 But if you like to kick things a bit and decide to za’atar your rolls, you’ll simply brush a mixture of olive oil and zaatar all over your dough rectangles, slice and roll them up like so. Until you can no longer handle their chubby cuteness. At this point…ship them off to the oven! Quick! Pull one while they’re still warm. Looks like a warm blanket. I’d sleep in this if I could. And leave you to go buy some potato flour and make them. Oh! I know I said that I’ll stop talking, but paleeeeez don’t be like my kids and bite into them without unraveling them like a scroll. It’s just…wrong and a crime against fluffiness. Now I can stop talking in peace. Soft, buttery, fluffy, swirly rolls as easy as dumping everything together in one bowl. A special ingredient keeps them soft for days. 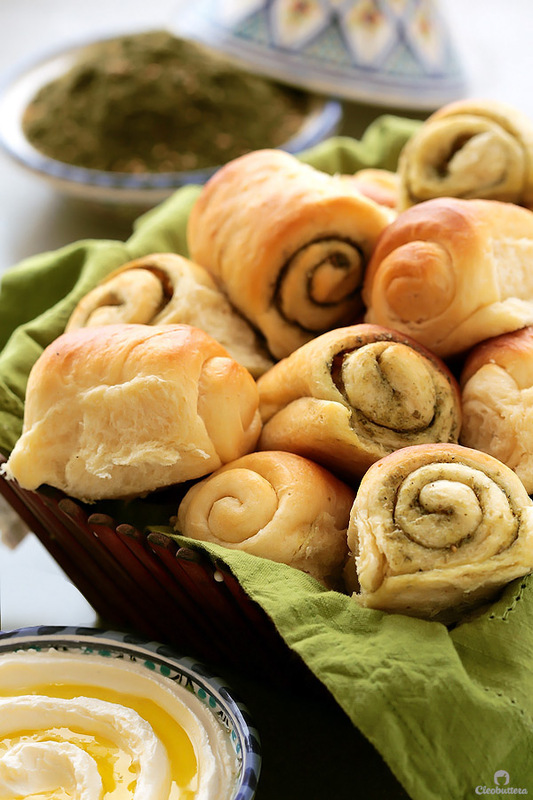 Whether plain or stuffed with Zaatar, these rolls are guaranteed to fly off your bread basket in a flash! 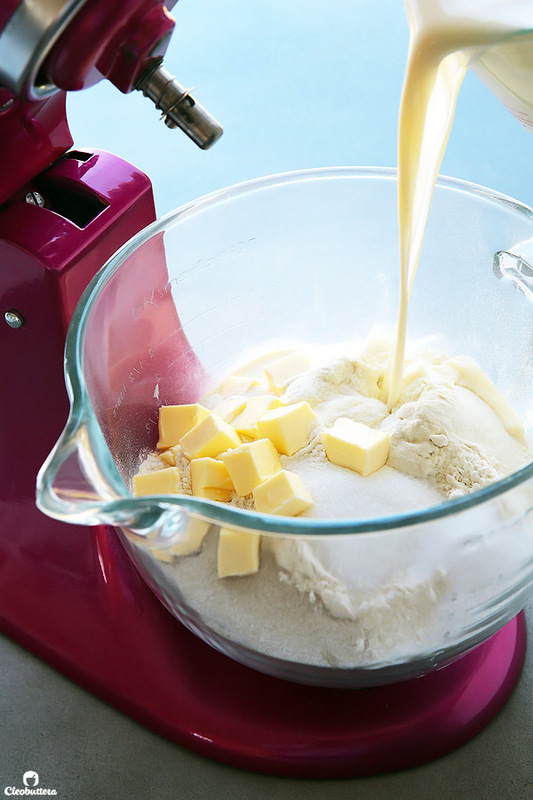 In the bowl of a stand mixer fitted with the hook attachment (or a large mixing bowl, if kneading by hand), place the flour, yeast, sugar, salt, potato flour and the softened butter. In a microwave-safe liquid measuring cup or small bowl, heat the milk in the microwave until warm, but not hot; about 1 minute. Add the egg to the warm milk and whisk until well combined. Pour the milk mixture into the bowl with the flour and other ingredients. Mix until a shaggy dough is formed. At first, the dough will seem clay-like, and appear rough and dry. It will eventually soften up, so don't be tempted to add extra liquid. 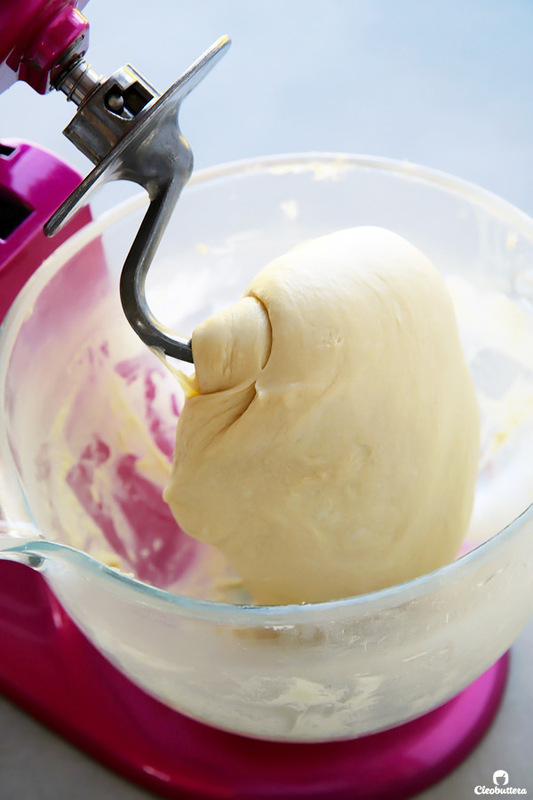 Continue to knead the dough, by hand (10 minutes) or by machine (7 to 8 minutes) until it's smooth and slightly sticky. 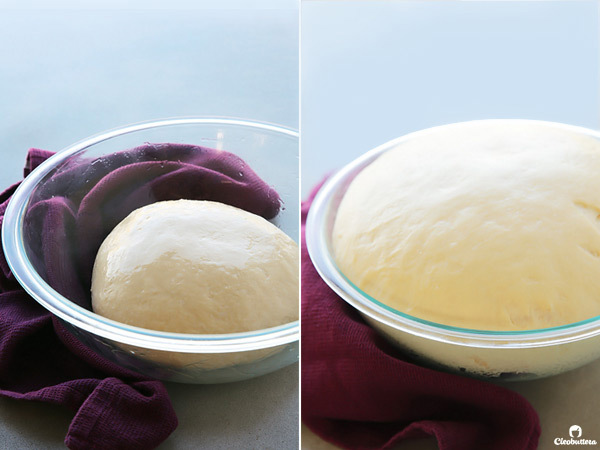 Place the dough in a lightly greased bowl or 8-cup measure (so you can track its rising progress). Cover with plastic wrap and allow it to rise for 60 to 90 minutes in a warm place (*see note below, for creating the best warm environment for rising). It'll become quite puffy, and almost doubled in size. Transfer the dough to a lightly greased work surface, or silicon mat. 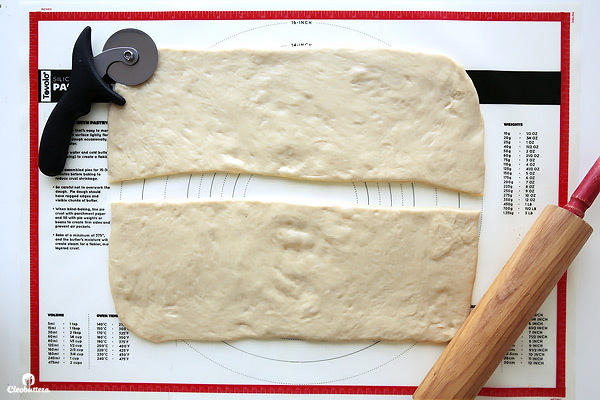 Roll or pat the dough into a 16" (42 cm) square. 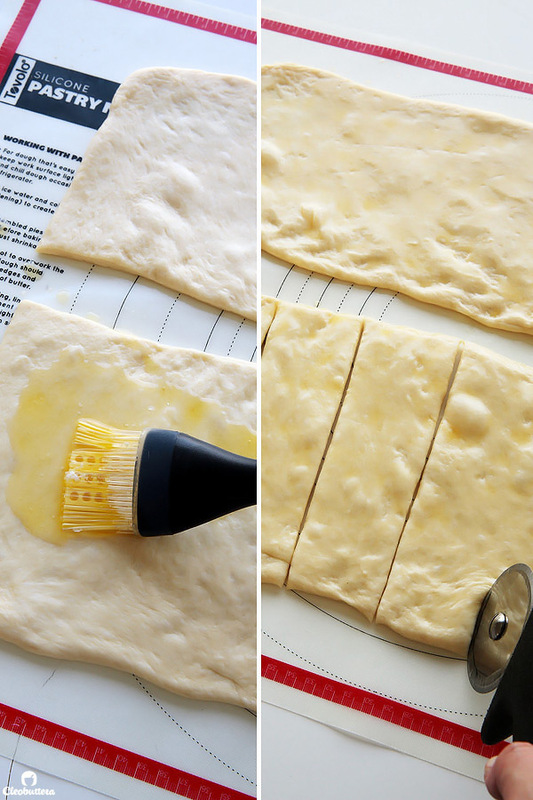 Using a pizza cutter, slice the dough in half horizontally to form 2 equal rectangles. 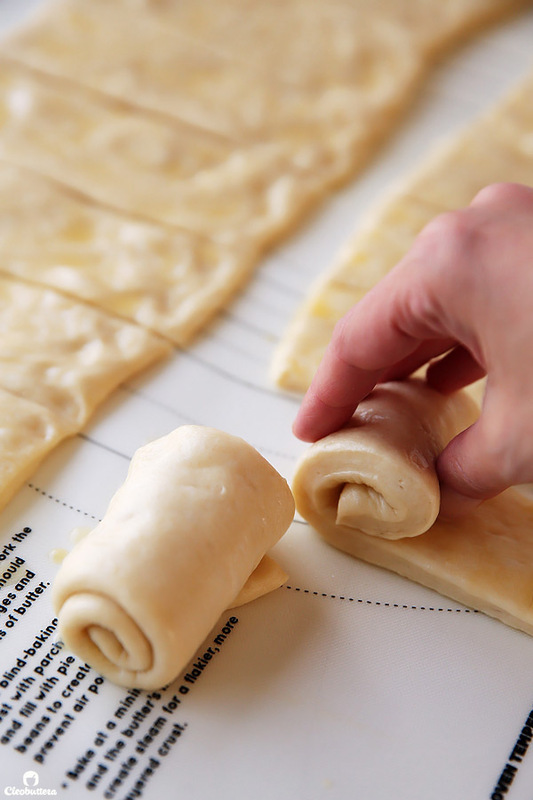 If making ALL butter rolls, brush both rectangles of dough all over with a light coating of the melted butter. Allow the butter to set in and harden slightly. 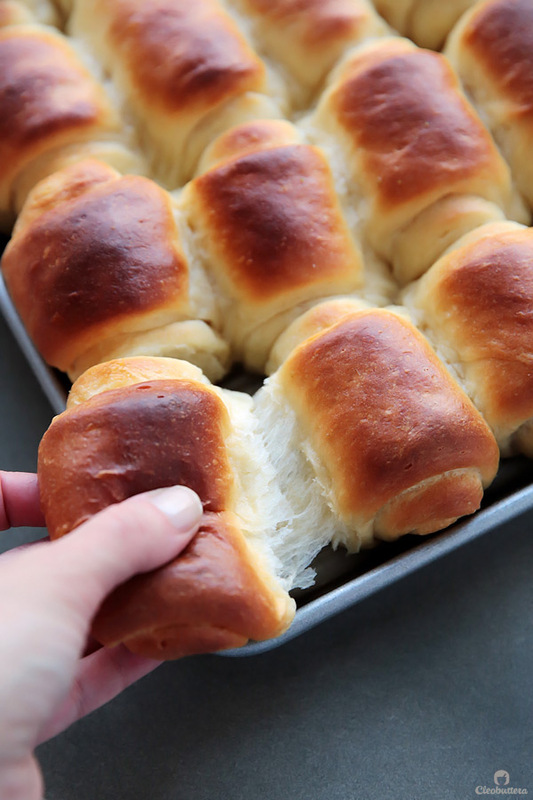 Any leftover butter will be used for brushing on top of the baked rolls. If making ALL za'atar rolls, combine the olive oil and za'atar in a small bowl, then spread the mixture over both rectangles of dough. 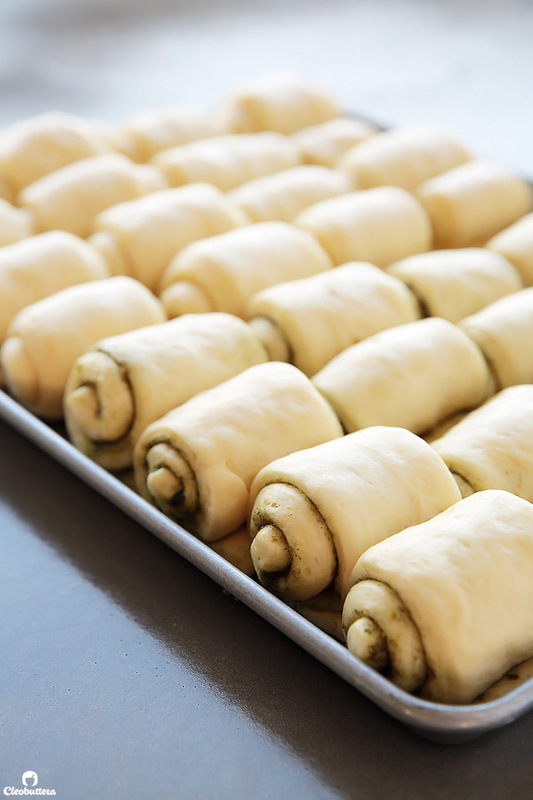 If making 8 rolls of each kind, then spread half the amount of butter over one rectangle, and half the amount of olive/oil za'atar mixture over the other. Slice each rectangle vertically into 8 equal strips. Starting at 1 end, roll each strip into snug cylinder., then place seem-side down in a lightly greased 9" x 13" pan. Arrange 4 rows of 4 in the pan. Cover the pan with plastic wrap, and let the rolls rise in a warm place 45 minutes to 1 hour, until puffy, but not really doubled in size. Towards the end of the rising time, preheat the oven to 350°F/ 180°C. Bake the rolls for 20 to 25 minutes, until they're golden brown and feel set. The most accurate way of telling when they're done is by taking their internal temperature. The thickest part of the roll should register around 190°F/ 88 °C. Loosely tent the rolls with foil during baking if they're browning too fast to avoid overbrowning. 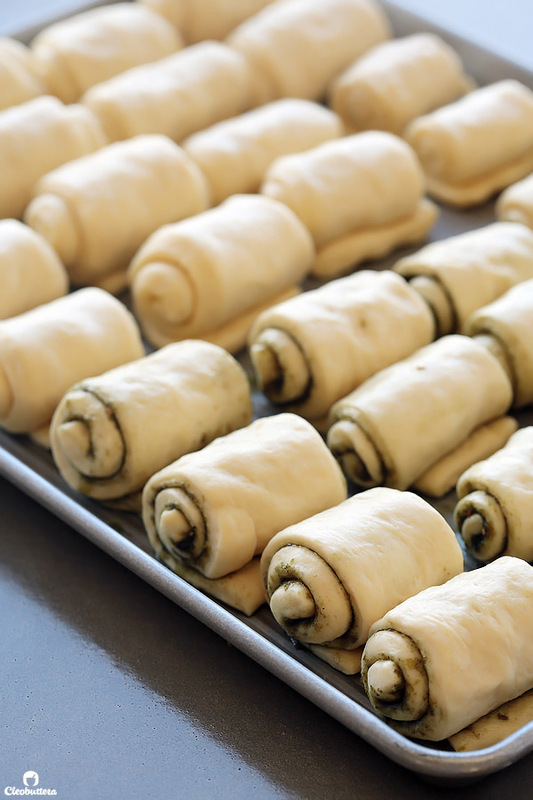 Remove the pan from the oven, and brush the rolls with the remaining melted butter, even the za'atar ones. Pull apart to serve. Enjoy warm or at room temperature. Store leftovers (if you're lucky to have any) in an airtight container or zipper lock bag at room temperature for up to 3 days. This recipe doubles really well, as shown in the post's photos. Bake in an 18 x 13" (46 x 33 cm) pan; aka half sheet pan. 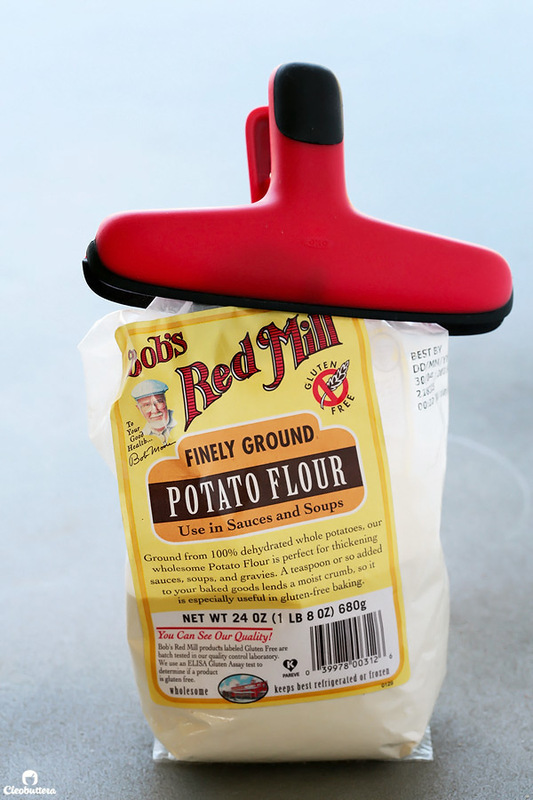 While I haven't tried any substitute myself, this article explains everything you need to know about substituting potato flour. Highly recommended read! 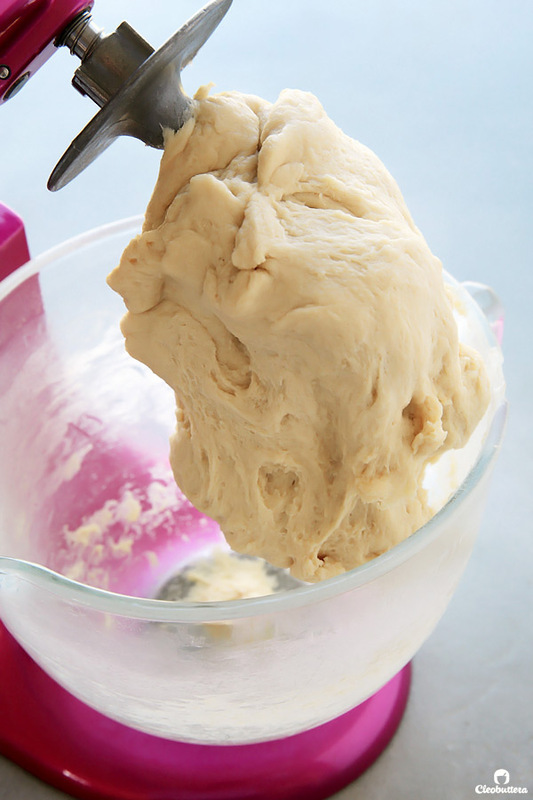 To make ahead: In step 5, do not let the dough rise, but refrigerate it overnight or up to 16 hours; let the dough sit at room temperature for 30 minutes then continue with step 6. 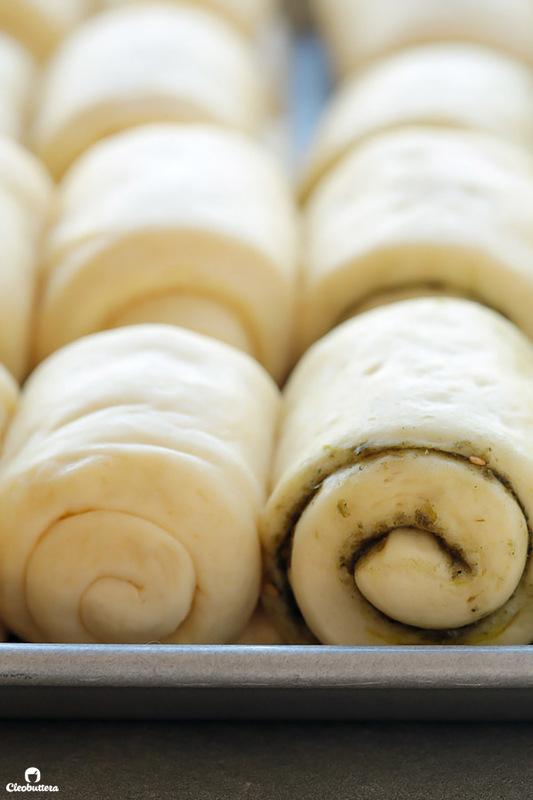 Alternatively, (my personal favorite method to minimize work on the day of serving) do not let the shaped rolls rise in step 9, but refrigerate it overnight or up to 16 hours; let the dough sit in a warm place until puffed up; 30 minutes to 1 hour, then continue with step 10, preheating the oven 15 minutes before baking. 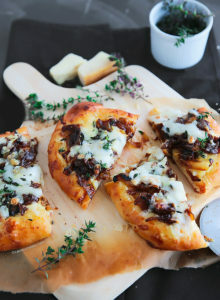 Recipe mostly adapted from Half Baked Harvest, who adapted it from King Arthur Flour, adding a Za'atar "twist" to the dough. Salam Tasbih, I can’t wait to try this. Can’t pass anything with za’atar in it. Food for thought – will making this recipe with bread flour do it a service or disservice? It sounds pretty amazing as it is and that’s how I plan to attempt it initially, but if I only had bread flour on hand, could it still work as well? I just realized that I’m typing this message while eating a modified scale of the 12-layer chocolate cake from your website. It is always advised to use the type of flour called for in the recipe. Recipes that specify a certain type of flour is carefully formulated to match the flour’s protein level to the amount of liquid called for, creating the ideal hydration, which results in the optimum texture and rise. However, if in a pinch, substituting is completely fine here. The outcome may vary slightly, but I’m pretty sure it will still turn out amazing! Thank you so much Shakerah! I hope you love it! Ever try making a sweet version? Like a cinnamon roll? Either way, will most definitely be giving these a try. I hope you love them! Please let me know how they turn out, if you experiment with the sweet version. You read my mind! Been thinking of transforming them into cinnamon rolls. I’m absolutely positive it will work because the dough has all the qualities a sweet roll would want. 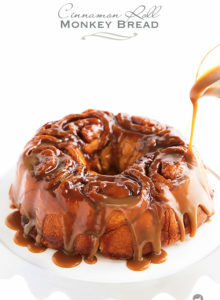 I still plan to experiment, but I did try pouring vanilla glaze over the plain one just to see if it goes well with sweetness & it was heavenly! I can imagine it turning out amazing with a cinnamon filling. 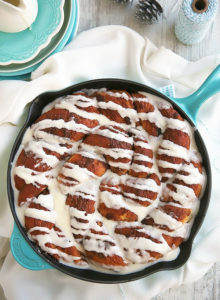 Hi Tasbih, so just wondering do you think it’s possible to make cinnamon rolls using potato flour as well…. 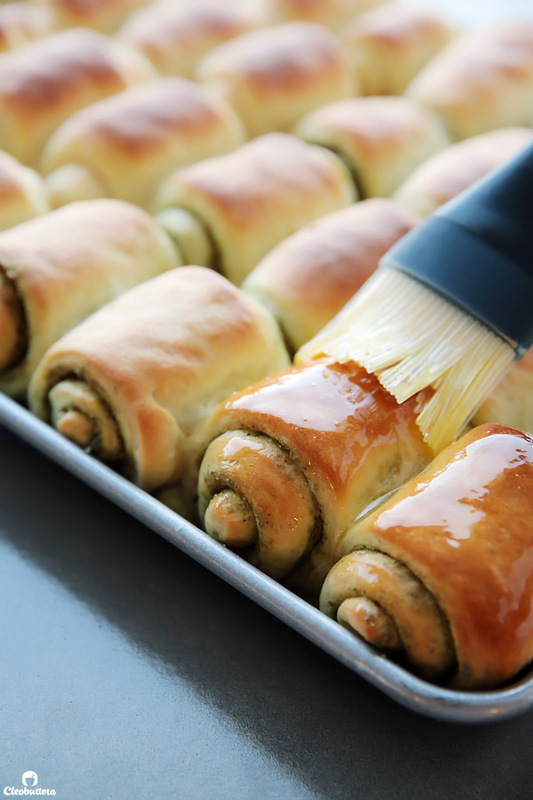 I am thinking maybe even using the fluffy spiral rolls and making one batch with Zaatar and another with cinnamon sugar mix? Hi Tasbih, I couldn’t find potato flour but only potato starch. How should I use it in the recipe? Thank you in advance for your reply and for your amazing recipes. Hi Khalil! Glad you asked. Potato starch is very different from potato flour, so unfortunately you can’t substitute one for the other. You could however use instant mashed potato flakes instead. So happy you liked them Swati! The top of the rolls are slightly crusty than the center of the rolls. You could reduce that by either lightly tenting the baking pan with foil as soon as the rolls turn golden, or you could bake them on a lower rack of the oven. To get that thin crust, I roll the dough very thinly using the measurements given in the instructions. 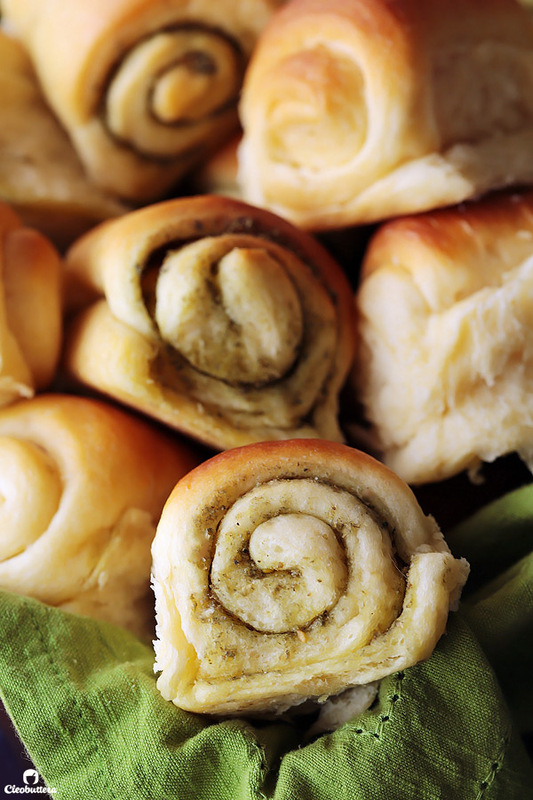 Just made these rolls but as i didnt have any zaatar i used pesto instead. They look great, im hoping they taste as good as they smell. Thanks for the recipe. I love pesto! I’m sure it will make an amazing match with these rolls. You just can’t go wrong with pesto. Once I saw my mother in law, putting a smashed potato in lokoumades dough, it looked strange but the result was a crispy on the outside and really soft inside lokoumades, so maybe I will experiment with that, because I can not find the potato flour where I live, or maybe I will look for some online, because I definitely want to try these rolls. We all love za’atar, or maybe some cheese also mmmm! My head is already spinning with the possibilities! Take care and thank you for sharing another great recipe. You are more than welcome Katy. It’s really my pleasure. It’s so interesting about potatoes in lokoumades! I remember seeing a recipe for the Egyptian version of Lokoumades (we call them lokmet el kady or zalabya) that uses mashed potatoes too and was so intrigued by the idea. I’ve also tried a recipe for donuts that use potatoes in the dough and the outcome was just like you described, crispy on the outside and soft on the inside. Love the magic potato possesses 😍 If you do try this recipe using mashed potatoes, please let us know how it turned out. I’m sure many people will be interested in that substitution. And cheese? Oh yeah! Hi, I made the dough exactly as instructed, and even placed the dough in the oven with a boiling bowl of water. However after an hour, it appears the dough hasten risen at all. I did use active dry yeast (and activated it with water and sugar) as I did not have instant yeast – however I know those are interchangeable. What could have caused this to happen? Hi Rochel 😊 Active dry yeast while interchangeable with instant (as long as you activate it first like you did) works slower than instant. I think 1 1/2 hours should work it’s magic into rising your dough. If you’re in a hurry, it’s best to use instant, if not then you’ll just need to wait a little longer. Enjoy. Hiii tasbih i have unbleached flour can i used?? Hi Maha. Yes dear, I always use unbleached flour and don’t seem to have a problem. Hi Tasbih 🙂 In can’t seem to find potatoe flour anywhere. Not in seoudi too. Any idea where i might find it? Thanks. Oh no! I just hate it when things suddenly disappear from supermarkets like that. Last time I bought it was from Seoudi, but I also recently saw it at Fresh Food Market & Kimo in Maadi. It’s currently available on ngs-egypt.com for sure. I just checked. They deliver too, which is great! Hi Mahnaaz. I wish I could give you a confident answer, but I never actually tried this recipe with the potato mash substitute, so I’m not sure how the dough is supposed to feel like. I adapted this recipe from King Arthur Flour website, where they mentioned potato mash powder as a suitable substitute but I haven’t had a chance to test it myself. However, I don’t think there’s a need to adjust the liquid quantity, otherwise they would’ve instructed so. Do you think there’s a chance that you might’ve over measured the flour? Do you weigh your ingredients or measure by cups? How was the end result of the baked rolls? So good! I tried it and it tastes great! But not as fluffy as in your photos. Any tips for that? The umm Ali turned out perfectly. Trying not to make it every week! I’m so happy you found your way here! Welcome aboard; I hope you enjoy EVERYTHING! It’s so amazing to hear that you liked the Umm Ali recipe…did you see how easy it is to make?! Tasbih, wonderful recipe! Thank you. one question, would this recipe work (fluff ans all) if done as a regular eound bun? Absolutely! Most versatile dough recipe ever! You could do anything to it and it will still turn out great. I did this recipe but the bread didn’t turn out fluffy as yours ..
I’m not sure where it went wrong ? any special yeast using or flour ? Just made these today and they turned out AMAZING! Been dying to try this one and I finally did! Quick question, do these freeze well? If I freeze them instead of refrigerating them after step 8, Can I defrost them and leave them to get to room temperature and bake them the day I want to serve them? Appreciate if you can let me know. PS: Can’t wait to try the honeycake! So happy you loved them Rola! Yes…freezing will work! Prepare the dough through step 8 and allow to rise for about 30 minutes. Freeze in their slightly puffy state, well-wrapped in plastic. When you’re ready to bake, let them thaw in the fridge overnight. The next morning, take them out and bake! Hi Sarah! 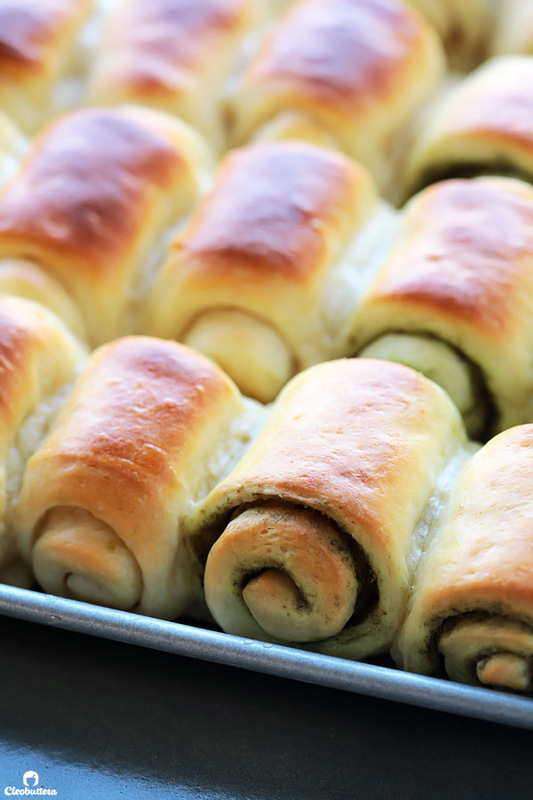 Potato flour is the key ingredient that gives these rolls their impossibly fluffy texture. If you substitute it, you won’t get that same pillowy results, so I wouldn’t recommend it. I’ve linked to an article explaining potato flour substitutes in the notes section of the recipe, that is worth checking out. Potato flour is readily available at most big supermarkets in Cairo; I get it from either Seoudi or Fresh Food Market. Hey Tasbih . I had made these Zataar rolls for the first time without potato flour and they turned out really good, baked all the way through. But here comes an upsetting part, the third time when I made it with potato flour and weighed the ingredients ( considering these two factors were key to even more perfect results) it did not turn out good. What do you think could have gone wrong?